Rehabilitation facilities near Colorado Springs treat individuals suffering from drug or alcohol addiction. Community organizations and support groups in Pueblo, Teller and El Paso counties can help you begin the recovery process today. Pueblo, Teller and El Paso counties are home to many different addiction treatment centers, as well as several community-based anti-drug organizations. The organizations work to raise awareness about drug and alcohol-related issues throughout southern Colorado. The Southern Colorado-Pueblo chapter of Alcoholics Anonymous and the Pikes Peak Area chapter of Narcotics Anonymous both have hundreds of meetings every week in southern Colorado. You can find peer support for recovery from drug and alcohol addiction in the Colorado Springs area. Staying sober after treatment can be difficult. Many sober living environments in the Colorado Springs area strive to help those in recovery develop the healthy life skills needed to sustain long-term sobriety. Pikes Peak House comprises five transitional living homes for adults with alcoholism and other substance abuse problems. The nonprofit uses the 12-step model to promote self-sufficiency and spirituality. Each week, residents participate in NA or AA meetings, big book studies and social activities. The organization strives to help people learn to have fun in sobriety and network with others. Alano House offers three recovery homes in Colorado Springs — two for men and one for women. During their first 90 days, residents are required to attend a 12-step meeting each day. The organization encourages a family environment. The residents’ family and sponsor may visit designated locations at the home. Carla Vista Sober Living Homes provides a fully furnished sober environment for people battling addiction and for those in recovery. The organization offers short- and long-term treatment, support groups and counseling. The Colorado Springs location also provides job placement services to its residents. In 2012, Colorado voters approved a measure, Amendment 64, permitting the use and regulation of marijuana in the state. Since then, Colorado Springs has seen a surge in cannabis consumption clubs, which allow residents to use cannabis and socialize in private. 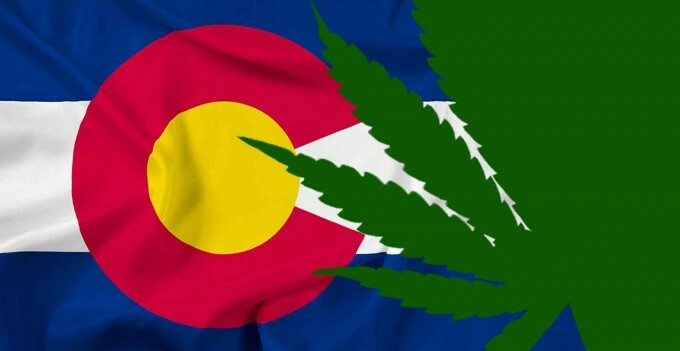 However, nine cannabis clubs in the area received cease-and-desist letters from the Colorado Springs clerk’s office for violating the city’s ban on selling, trading, giving, distributing or transferring the drug. Learn more about substance abuse trends in Colorado. In addition to marijuana, several drugs are causing problems in the city. The 2003 Colorado Drug Threat Assessment found that Colorado Springs was a regional distribution center for multiple illicit drugs, such as methamphetamine, cocaine and MDMA. Driving while intoxicated has been a problem in the area. Thirty-nine percent of motor vehicle traffic fatalities in El Paso County in 2010 involved an alcohol-impaired driver, according to the El Paso County Health Indicators 2012 report. The assessment also showed that 17.5 percent of adults in El Paso County were current tobacco smokers from 2009 to 2010. Among El Paso residents, current smoking is most common among people aged 18 to 34, men, adults with less than a high school education and those living in homes with an annual income of less than $25,000. Located in beautiful Palmer Lake, The Recovery Village is surrounded by stunning views of the Rocky Mountain foothills. The 58-bed facility is licensed by the State of Colorado and the Office for Behavioral Health. 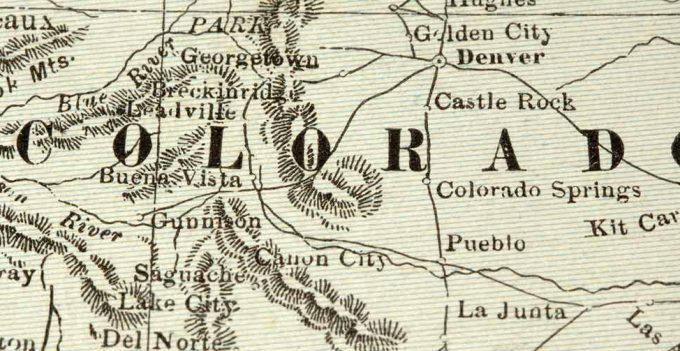 It’s located along the scenic Santa Fe Trail and sits conveniently between Denver and Colorado Springs. Police departments, sheriff’s offices and local governments near Colorado Springs work to raise awareness about addiction and reduce the amount of illicit substances on the street. The Pueblo County Sheriff’s Department and the El Paso County Sheriff’s Department provide drug and alcohol abuse educational programs for youth. The D.A.R.E. program is run by specialized resource officers who visit schools to teach children good decision-making skills and ways to avoid drugs, violence and crime. The Pueblo County Sheriff’s Office on the Colorado State University-Pueblo campus provides an Alcohol and Drug Awareness Program to college students and community members. The program raises awareness about the effects of drugs and alcohol, encourages good behavior and discourages underage drinking. The U.S. Drug Enforcement Administration Southern Colorado Drug Task Force works with police departments in Colorado Springs, Pueblo and Florence and sheriff’s offices in Pueblo and El Paso County. The task force targets drug trafficking organizations in the southern part of the state. The goal of the Metro Vice, Narcotics and Intelligence Division of the Colorado Springs Police Department is to prevent the possession and distribution of illicit drugs in Colorado Springs. The agency works with El Paso and Teller counties to decrease drug trafficking in the area. The El Paso County Sheriff’s Office’s Reintegration and Recovery Program rehabilitates people who have been incarcerated for drug-related crimes. The program provides treatment, education and therapy for people with substance use disorders and works with aftercare services to reintegrate people into society. The higher-education institutions in the Colorado Springs area promote drug awareness and education to both college students and community members. The schools also provide counseling and wellness services for students suffering from drug or alcohol addiction. The University of Colorado Colorado Springs offers students, faculty and staff educational, counseling and treatment services related to alcohol or drug abuse. Several resources are available through Student Support Services, the CU Benefits Office and the Department of Public Safety. A program aimed at teaching students about the personal impact of alcohol abuse, including legal ramifications. A comprehensive program that teaches violence prevention, bystander training and alcohol and drug awareness. A peer-facilitated class where students present information about alcohol and marijuana awareness. The Simulated Impaired Driving Experience is a program provided on-campus that simulates alcohol impaired driving for high school students. A program that teaches students about the dangers of high-risk drinking behavior, how to say no to peers and how to think about alternatives to high-risk situations. A program aimed at educating students about the dangers of drinking before major campus events. A program aimed at teaching students how to make healthy decisions regarding drugs, alcohol and sexual health before spring break. A drug and alcohol informational presentation that uses interactive games to teach students about drug and alcohol safety practices. The Colorado State University-Pueblo Student Counseling Center offers psychological counseling for students suffering from a variety of mental health issues, including drug or alcohol addiction. A monthly educational program for students who want to change their low or moderate alcohol consumption. A pair of sessions for students with moderate or heavy alcohol consumption behavior. BASICS provides screening and motivational interviewing counseling for students. A service similar to BASICS aimed at students with low or moderate alcohol consumption behavior. If the Student Counseling Center is unable to provide the service a student requires, it will refer the student to rehab in the community. A training seminar for students to learn about the signs of overdose and alcohol poisoning. A short educational program for students to learn about alcohol abuse and resources on campus. The Pikes Peak Community College Counseling and Resource Center provides six free counseling sessions for students suffering from a variety of mental health issues. Topics treated during therapy include depression, anxiety, anger, alcohol abuse and drug addiction. The Pueblo Community College Health Center offers intervention and referral services to students suffering from drug or alcohol addiction. The PCC Health Clinic also works with community organizations to provide educational and awareness programs. Pueblo, Teller and El Paso counties are home to several community-based anti-drug organizations. The organizations work to raise awareness about drug and alcohol-related issues throughout southern Colorado. The Teller County Build a Generation program works to determine the amount of drug-related risk exposure to children in the county, identify community resources that can negate that risk and implement a comprehensive plan to promote healthy lifestyles among Teller County youth. One Community Pueblo is a coalition that focuses on improving the lives of children in Pueblo County. The organization aims to reduce risk factors for drug addiction and increase the number of protective factors for children and parents in the community. The statewide DRIVE SMART program encourages safe driving practices across Colorado. In Colorado Springs, the organization’s High School Traffic Safety Program aims to reduce distracted driving and educate students about the danger of driving under the influence of alcohol and other drugs. The Colorado Springs affiliate of Mothers Against Drunk Driving hosts regular speaking events at multiple locations — the Colorado Springs Senior Center, St. Thomas More Hospital in Canon City, the Cripple Creek Parks and Recreation Center and the Colorado State Fairgrounds in Pueblo. The organization advocates against driving under the influence. The El Paso and Teller County chapter of the Alliance for Drug Endangered Children aims to reduce the impact of drug abuse on families in the communities. The organization works with local law enforcement to provide prevention, education and intervention services in the area. Rise Above Colorado, a statewide drug prevention program, has implemented an anti-prescription drug abuse initiative in southern Colorado. The organization visits local high schools to warn students about the dangers of prescription drugs and teach them how to avoid abusing the substances. The state of Colorado’s Prevention Partnership for Success works to reduce binge drinking behavior among Latino youth in four counties in Colorado, including Pueblo County. The partnership’s “I’m Going Places” campaign and Young Leaders Society discourages underage drinking among Latino youth. Springs Recovery Connection is a nonprofit organization which provides education and mentorship to individuals in recovery. The organization comprises Colorado Springs citizens who advocate for policy changes regarding addiction, provide support for families and work to end the negative stigma associated with addiction. The Pikes Peak Workforce Center assists local residents with career planning, job exploration, financial coaching, resume writing and computer training. The facility also offers hiring events, workshops and services for veterans and young adults. The Opportunity Act Youth Program uses counseling, skills training and supportive services to help low-income young adults reach their educational and professional goals. Discover Goodwill’s Career Development Center partners with El Paso County Department of Human Services to train job seekers and connect them with employment. The Milestones Case Management Program includes subprograms that cater to the parental and employment needs of fathers, pregnant women and parents with small children. The organization also helps people in this program find reliable childcare services. Mt. Carmel Center of Excellence provides transitional services to military members, veterans and their families. These services involve resume writing, counseling and group workshops. The organization also uses mock interviews and assessments to assist these individuals in improving their interview skills. The Women’s Resource Agency teaches teen girls and women the skills needed to live financially independent lives. Its personal development program provides monthly workshops that cover topics intended to increase self-esteem, personal image and growth. The professional development programs include resume coaching, computer skills training and mock interviews. REACH provides supportive services intended to improve the lives of low-income Pikes Peak area residents. The Transitions to Independence Program provides educational assistance, job coaching and other services to low-income, under-educated or under-employed people. Anti-drug and alcohol abuse organizations in southern Colorado need help to provide educational, awareness and treatment services. You can give back to the community by volunteering your time to help those recovering from addiction. The Pueblo Youth project teaches middle and high school students in Pueblo County to avoid risky activities like abusing drugs and alcohol. The organization needs volunteers who are willing to perform tasks like handing out fliers, compiling educational material and serving on the organization’s advisory council or board of directors. The Colorado Springs Teen Court provides criminal justice services for teens who get in trouble with the law. The court often sentences their peers to educational classes and awareness programs aimed at deterring criminal behavior in the future. More than 200 teens volunteer to serve on the court every year. Why Choose Drug Rehab in Colorado Springs? 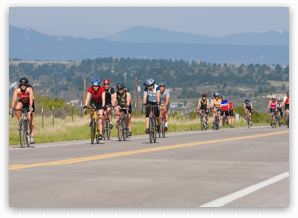 You can participate in a variety of activities near Colorado Springs while recovering from addiction. Pueblo, Teller and El Paso counties have peaceful nature trails, informative walking tours and cultural attractions to relax your mind during recovery. 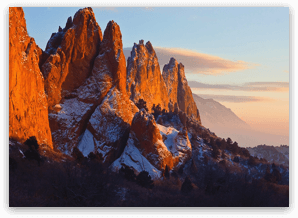 State parks in Colorado Springs such as Garden of the Gods Park and the Cheyenne Mountain State Park offer spectacular views of nature, red rocks and wildlife. You can also try a whitewater rafting experience near Pueblo. Raft along the Arkansas River, which winds through Bighorn Sheep Canyon and the Royal Gorge. If you’re looking for a more structured experience, tour one of the many attractions near Colorado Springs. 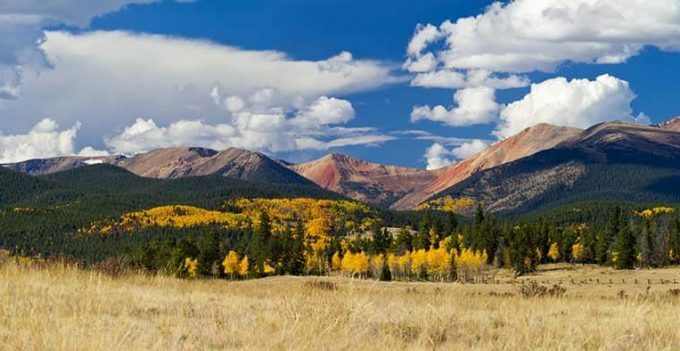 You can tour the Colorado Wolf and Wildlife Center or go on a Pikes Peak Mountain bike tour. You can also indulge in a treat at Patsy’s Candies — an old-fashioned candy factory — or check out the U.S. Olympic Training Center. The Colorado Springs Pioneers Museum and the Outlaws and Lawmen Jail Museum in nearby Cripple Creek offer glimpses of Colorado’s past. 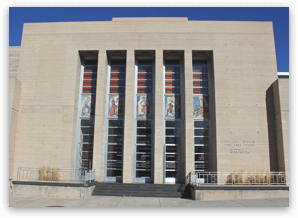 The Colorado Springs Fine Arts Center and the Penrose Heritage Museum are also entertaining cultural destinations.